1.6 x 0.9 x 0.7 cm. A classic, doubly terminated, pastel-yellow sapphire from Sri Lanka. 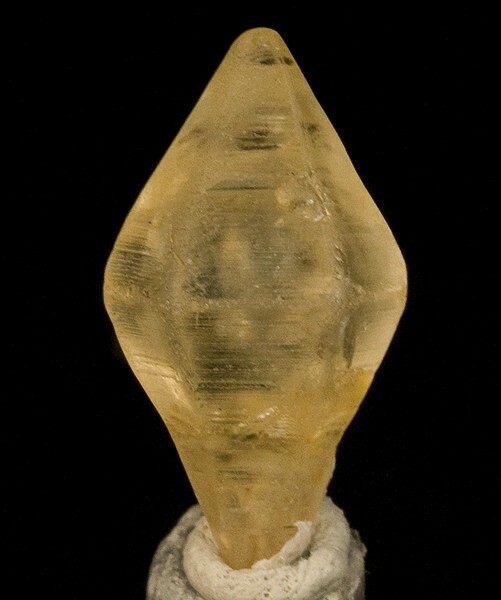 This gemmy and lustrous crystal is well-striated and the crystal faces are very lightly frosted. Textbook crystal form and highly representative from this locale. Complete-all-around and pristine. Weighs 7.49 carats.